Are You Planning on Starting a Small Business? Well, having been through the trauma of starting more than one small business from scratch, hopefully, my business owning friends and I can help you with a few good suggestions. We’ve all had some success at starting a small business and have learned a lot over the years. So, let’s take a look at the preparation needed to start your own business and help you avoid the usual new business owner mistakes. Today, in this modern World it’s critical that you have a good reason for wanting to go into business for yourself. Your long term success depends on you being passionate about your business venture. Think really carefully and ask yourself why you want to go into business … are your reasons sound? Whatever your reasons are, make sure they are valid and you fully understand them and that you can live with them in the future. Following your decision to start a small business, your first priority is to obtain the support of your spouse or partner, your immediate family and if appropriate, your close friends. These people, the ones closest to you, are going to suffer the most neglect during the start-up phase of your business and probably for a few years afterwards. Discuss your business idea with them and consider going to a friendly counsellor or a mentor you might have for help with the final decision and objective criticism on your business idea. Never act as if you are an island and it’s all a big secret. Get your family and friends on your side, their help, support and understanding will be critical to your business success. Consider – Is Your Business Idea The Right One for You? Investigate your small business ideas, get the facts, and look up any information that is available. What is the competition like? Who will be your business competition? Where are your markets, what are your products or services, who will your customers be, etc? If you still like your idea after have done your research, then run with it, be positive and determined to make it profitable? If your happy with your business concept, good, now you can really start putting it together. Starting a small business for yourself can happen in many ways, so take a moment to decide what you are best at, what your strengths are, what you want and if you will really enjoy it. It helps if you know something about the business you want to start, but this isn’t essential. You can either start your own business from scratch or buy an established business. You can go into manufacturing, retailing, distribution, services or an internet based business. You can work from home, rent or buy premises. You can be the sole owner or go into partnership. There’s a whole bunch to think through, do your thinking early on so that you know your future direction. 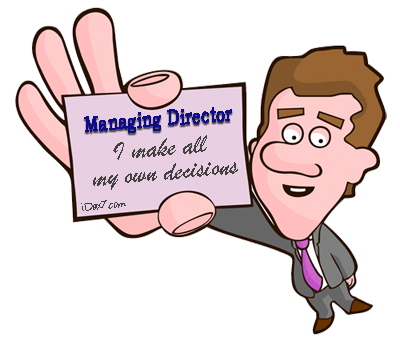 Starting a small business is a big massive decision, so spend time making the right decision. So, you’ve done all the research on your idea, it looks good and you’re raring to go. Well wait, you need to do one more thing first. Your idea must be valid enough to produce products or services that will sell. You must have potential customers in your market segment or your startup business is doomed to fail. So, carry out market research on your idea, product or service. Is your service wanted, more than your competitors? Is your business model wanted or needed in your chosen area? Is there really a gap in the market. What are your costs and what can you charge for your product or service? Is that what people will pay? Market Research is critical, so get it right. There is one important thing that no business can survive and that is a lack of paying customers. Are You Ready For The Effort of Starting a Small Business? Make no mistake; starting a small business from scratch is hard work. If you think that you have always worked hard as an employee, just wait and see the hours you put in as your own boss. When everyone else has gone home, to partners, kids and friends, you will still be hard at it. Are you prepared to put the necessary time and effort into your business? Are you prepared to learn business management skills? It’s not essential to possess all the knowledge and skills necessary to run a business, knowledge and skills can always be learned or bought. The capacity for hard work is vital however. Your effort, your hard work. After 20 years in the Corporate World, I knew everything about business, didn’t I? For years I had dealt with recruitment, marketing, distribution, engineering, etc, but until I went into business for myself I never realized how little I really knew about the basics of business management. You have to learn fast. Have you the self-confidence and patience to learn, to set up systems, recruit people, deal with bureaucrats or manage finances for your business? You have to do all this and more, so be prepared. Feel like giving up on your small business venture? You may be dead keen on starting a small business of your own. You may be here reading all this about hard work and the many difficulties ahead. But, to succeed in business, there is one trait that all successful business owners have and that is … they are realistic. Starting a small business from scratch takes hard work, so be realistic from the start and you will find success comes easier. They are right to do so, a lack of enthusiasm and commitment will only lead you to a quick small business failure and massive financial loss. So, have you got what it takes, are you strong, determined and committed to starting your own small business? How Much Will it Cost You? Not me, YOU! You may have put in a lot of work getting here. You may be happy with your business idea and its chances of success. So what’s next? Next, will come the cash requirement aspects of starting a small business. You now need to prepare some sort of financial plan and a budget for your business venture. This will give you some idea of your business start-up costs. This capital requirements plan can be as detailed and comprehensive as you like or as simple as a one page projection for money-in and money-out. It all depends on the type of business you plan on starting. The basic concept however is to have some idea of the start-up costs. And; what you need to get your new business off the ground. It is probably a good idea not to spend too much time on a very detailed budget, but simply arrive at a ball park figure for cash requirements. Once you have these, you can decide if you have the cash resources yourself, or if you need to raise capital. Again, at this stage you need to decide if you should go ahead, prune your ambitions or give up on the idea. Still Ready To Start a Small Business? You can do it and you are willing, so one more very important thing to do before you get to starting that small business. The last stage in the pre-business preparation is your business plan. Make this as comprehensive and detailed as your type of business and cash requirements warrant. The bigger and more complex the business, the more detailed your business plan should be. This plan should allow you to project and plan your business future, and is essential if you ever aim to borrow money. A good business plan can take up a lot of time initially, but once completed it will show your thoughts, in writing, regarding the future of your small business venture. 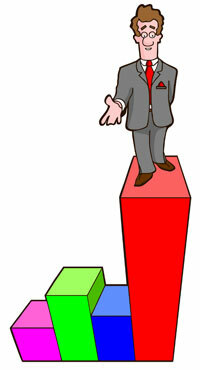 Your business plan is essential to your long term business success, so make sure that it is reasonably comprehensive. Time spent preparing this plan is time well spent. It is a must have if you are to succeed in starting a small business successfully. Commit to it and do it well. Having a plan – Your business plan.